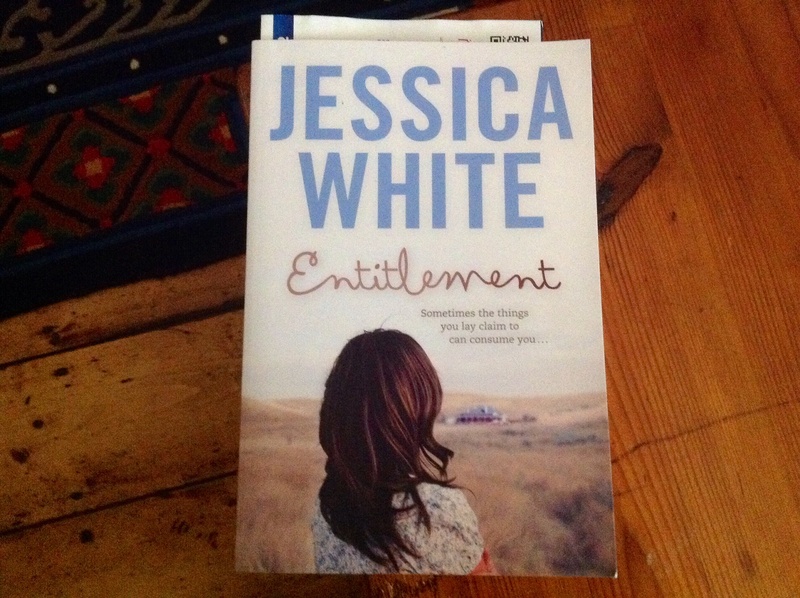 So Jessica White introduces the main character of Entitlement, Cate McConville, a thirty-year-old doctor who returns from her practice in Sydney to the small Queensland town of Tumbin, to face her ageing parents’ desire to sell the family farm. It is eight years since Cate’s brother, and Leonora and Blake’s son, Eliot, went missing. As well as burying herself in work to the point of malnutrition, Cate has spent every spare moment searching for her beloved brother. She blames herself for her brother’s disappearance, for the choices she made and the company she kept; and she blames her parents, for encouraging Eliot to stay on and work the farm instead of following his passion for music; but she never gives up hope that one day she will find him: one day, he will come “home”. With this hope still alive, Cate doesn’t want to sell the farm, and, having made her and Eliot partners in the venture, her parents need her signature. Her unwillingness drags up old family tensions that come to a head as secrets about the past are revealed. Entitlement is a moving story about grief and loss. It deals with these themes on more than one level. Alongside the story of the McConvilles is that of Mellor and his extended, Aboriginal family who have kept almost continuous ties to their ancestral land, the land now “owned” by the McConvilles and other white families who have bought or inherited it. It’s a complex and challenging endeavour to write from the point of view of an indigenous character when you’re white, and Sue from WhisperingGums discussed this very point in her review of Entitlement published last month. Like Sue, I think White handles this sensitively. This review forms part of my contribution to both the Australian Women Writers 2015 Challenge and the Aussie Author Challenge. I own a copy of the book which I won in an AWW competition and received from the author. Lovely to see you review this too, Elizabeth, and nicely done too. Grief and loss, that’s the essence isn’t it? It is, Sue, and very well drawn. I’m glad you tackled the Indigenous issue in your review. I find that dilemma rally interesting. Yes, I do too – and it’s good to talk about isn’t it.